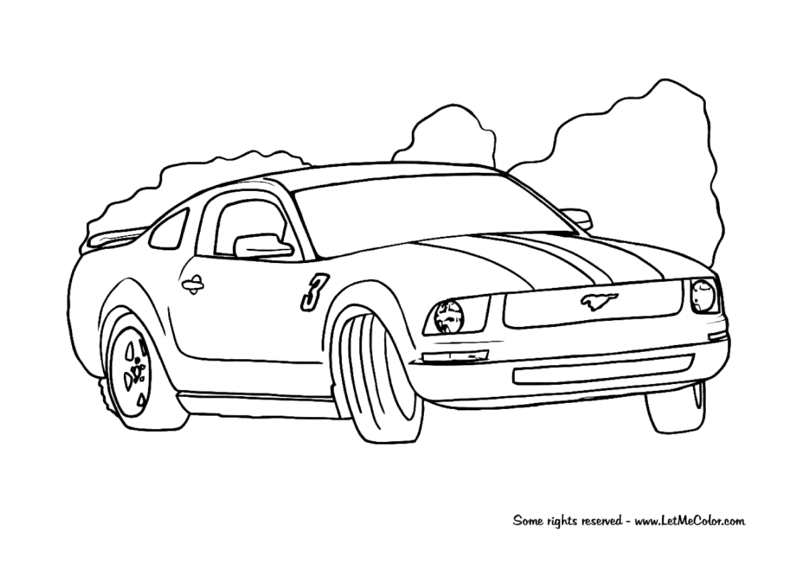 Free printable coloring page of a drifting Ford Mustang muscle car, kicking the tail out. And look at the smoke these tires produce. What colours will you give the sporty stripes on the hood? Some rights reserved (Creative Commons). This coloring page is created by Frank De Kleine. Original photo by ArtBrom.